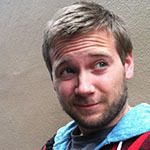 Sam is a front-end web developer, designer, and cartographer. He helped create Situated Laboratories, a firm devoted to helping people explore and showcase their digital brand. He promotes open collaboration and strives to ensure content pushes design and functionality, prioritizing the user experience. He actively participates in the open data and mapping community, and proudly supports the Seattle Sounders.